Five questions you should you ask when you’re thinking about adding a television lift for your home. Sometimes you don’t know what you don’t know and sales people at retail stores may be less knowledgeable than they should be about the products they’re selling. We’re ready to answer any questions you may have about TVLiftCabinets. It’s all we do – and we’re happy to help you find the best solution for your home. Q1) Does the TVLift come with everything I need? Is it easy to set up? A1) Yes. All of our furniture includes free shipping and in-home placement. We call it our white-glove treatment – which means no worries or hassles for you. Q2) Will my large flat panel television fit in the cabinet? A2) Each product has a “maximum television height,” listed. You will be able to select from a wide variety of models that will be the perfect fit for your television – and your home. Q3) Are television lifts safe? A3) TV Lifts are very safe. There are built-in pressure sensors to stop the lift and reverse when it hits an obstruction. 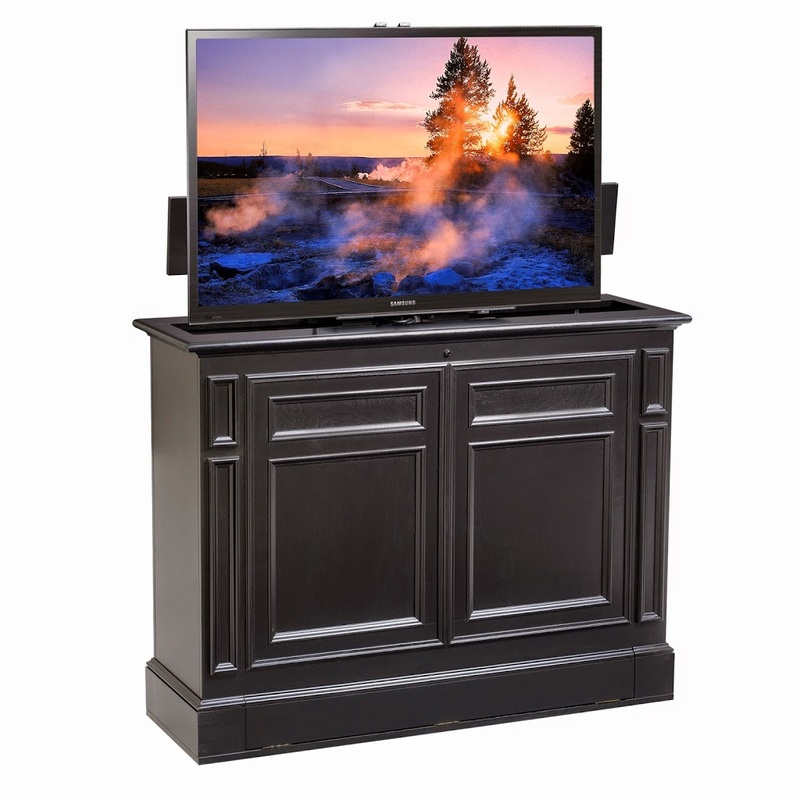 In many ways, a TVLiftCabinet is safer than wall brackets, which can cause televisions to tilt or fall, which may pose safety issues for those who live in the home. That can’t happen with a TVLiftCabinet. Everything is safe and secure. Q4) Can I operate my DVD, CD, Cable and satellite boxes from behind the closed cabinet doors? A4) The unique part of our TV Lift systems is that any piece of equipment that you place in the Infrared compartments can be controlled using your existing remotes from behind closed doors. The infrared system repeats your signal from your remotes inside the cabinet allowing you complete remote control without opening the doors. Q5) Does the Infrared System require programming? A5) No. Our system uses high output infrared flashers that locate your equipment without programming. So – now you know a few more answers, but you may have other questions. Check out some more answers in our FAQ section, or feel free to send us a message and we’ll be happy to respond quickly to your question.